If you need to set an expiry date to your proposal it couldn't be easier. There are two ways to do this. The first is when you create a new proposal. You'll have the option of adding an expiry date before even beginning the editing process. However, if you decide you'd like to add an expiry date later on, you can do this from the proposal edit screen. 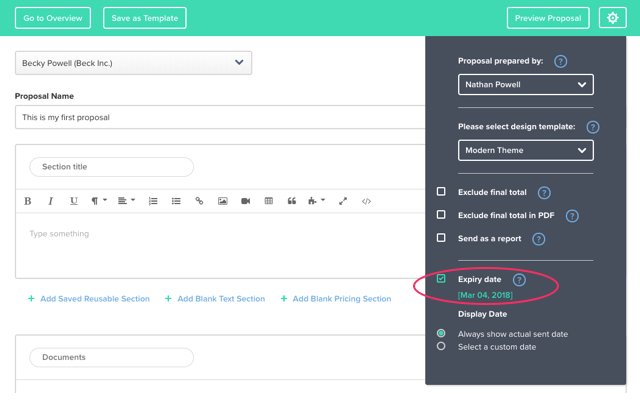 Click on the Settings icon in the top right of the proposal edit screen and select your expiry date.